Ruth Niehaus was born on July 11, 1925. She was a German Actress, known for Studentin Helene Willf�er (1955), Auferstehung (1958), Am Anfang war es S�nde (1954), Ruth Niehaus's first movie on record is from 1951. 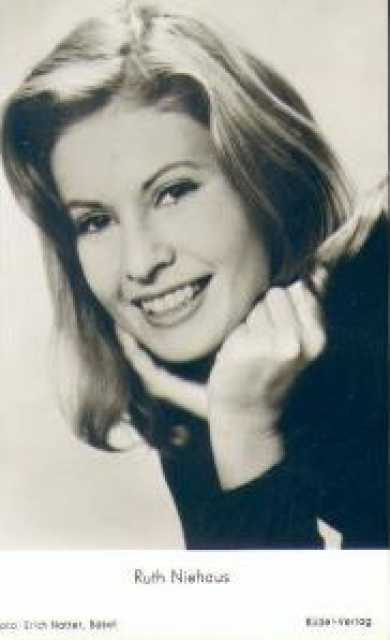 Ruth Niehaus died on September 24, 1994 in Hamburg. Her last motion picture on file dates from 1959.